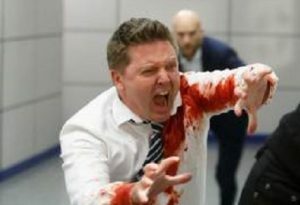 Beloved New Zealand soap opera and renowned hospital show, Shortland Street, will commemorate the birth of Prime Minister Jacinda Ardern’s baby with a special, feature-length episode in which the eponymous hospital has to scramble to deliver the Prime Minister’s baby during a total blackout. According to TVNZ, on Monday night, the hospital will face a challenge unlike any in its 26-year history. Auckland is struck by a major blackout, cutting power to the entire city. The Shortland Street Hospital is without its back-up generator after anaethetist Luke Durville used all its remaining power making cheese toasted sandwiches after hours. To make matters worse, the Prime Minister has gone into labour and the baby needs delivering imminently. Executive producer Don Reynolds says the episode will be a central pillar in the show’s history, and Ardern will receive a DVD copy as a gift. Reynolds wouldn’t guarantee that English would survive the episode, hinting that the stakes would be high.